Papermania’s Create Christmas returns ready for the festive season and bursting with all your yuletide crafting essentials. 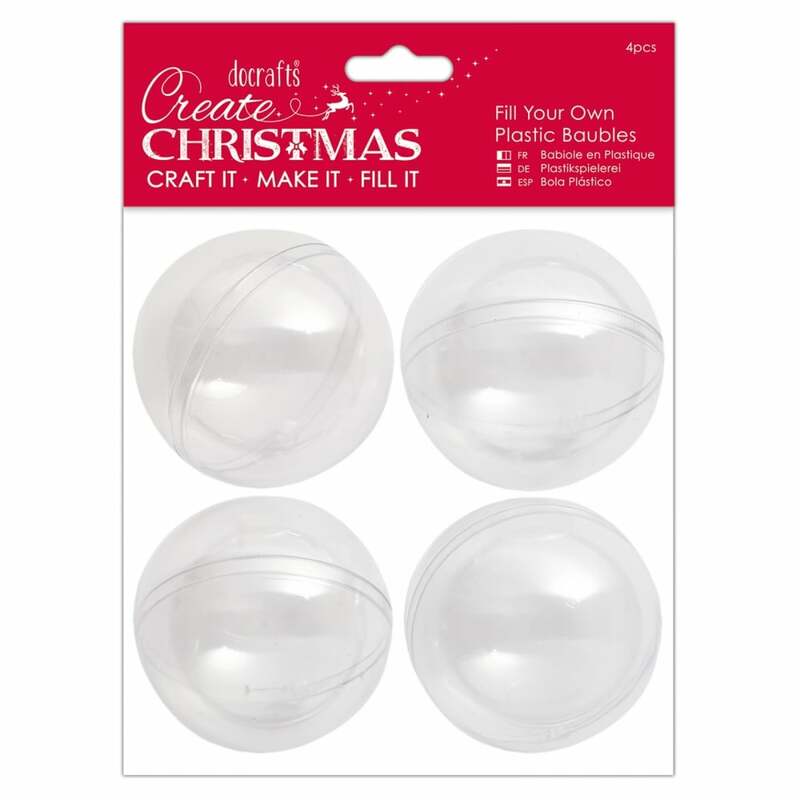 This pack contains 4 plastic baubles. Simply remove and split the baubles, fill it with what ever you have to hand and hang. Match with our foil strands and Christmas ribbons to create the perfect festive decorations.